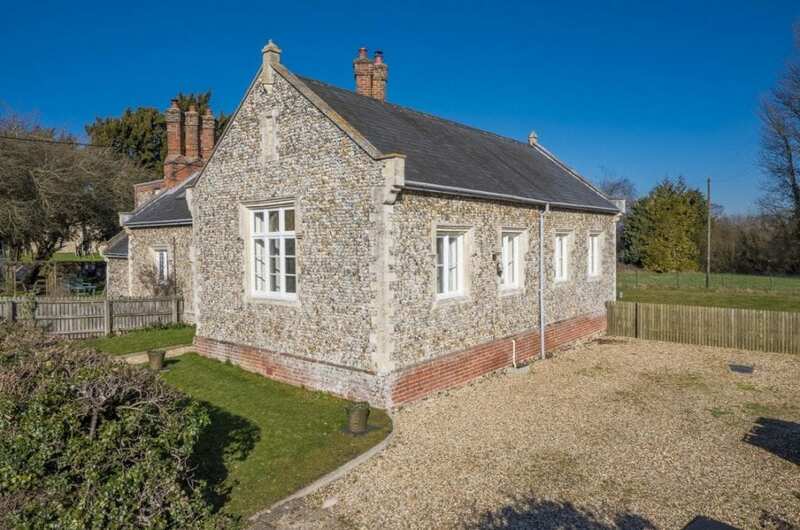 Offered in excellent condition is this charming Grade II Listed brick and flint former school house located towards the end of a no through road and boasting idyllic far reaching countryside views as well as being a stone's throw from the village church. 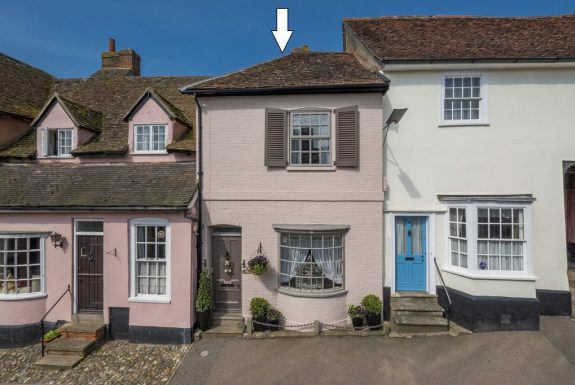 Notable features include two double bedrooms (one of which with en-suite), ample open plan sitting room/well-appointed kitchen/breakfast room, all of which are on the ground floor and therefore the property would be suitable for a variety of purchasers. Further benefits include off road parking for several vehicles and generous well maintained rear gardens. KITCHEN/BREAKFAST ROOM Fitted with a matching range of wall and base units with wooden worktops over and inset with sink and drainer. Integrated appliances include four ring induction hob with extractor over, eye level oven and grill and dishwasher. Space for fridge/freezer, oak flooring, window to side aspect and additional ceremonial inset with wooden mantle over. FAMILY BATHROOM 7' 2" x 6' 2" (2.2m x 1.9m) A white suite comprising WC, wash basin, panelled bath with shower attachment over, window to front aspect, tiled flooring and extractor. BEDROOM 17' 0" x 9' 10" (5.2m x 3m) A double room with double aspect windows to the front and side and built in wardrobes. BEDROOM 18' 0" x 13' 1" (5.5m x 4m) Another double room with double aspect windows to the rear and side, oak flooring and again feature inset with wood burning stove and wooden mantle over, oak flooring, built in wardrobes and door to En-suite A white suite comprising WC, wash basin, tiled shower cubicle, tiled flooring, window to side aspect and extractor. 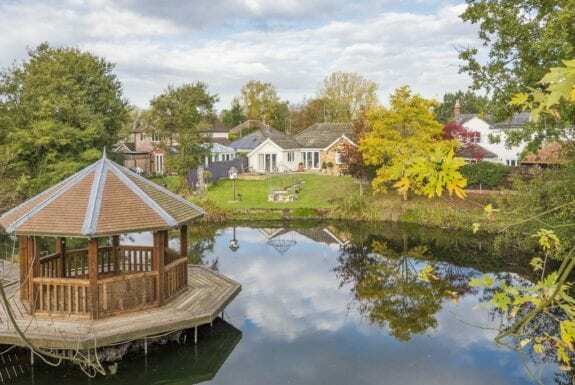 Outside The property is accessed over a private gravel drive providing off road parking for several vehicles and giving access to the spacious and well maintained rear gardens, which are predominantly lawned with boundaries clearly defined by fencing and hedging. The house is set slightly back from the road behind a picket fence and is bordered with a variety of flowers and shrubs. SERVICES Main water, drainage and electricity. Oil fired central heating. NOTE None of the services have been tested by the agent.